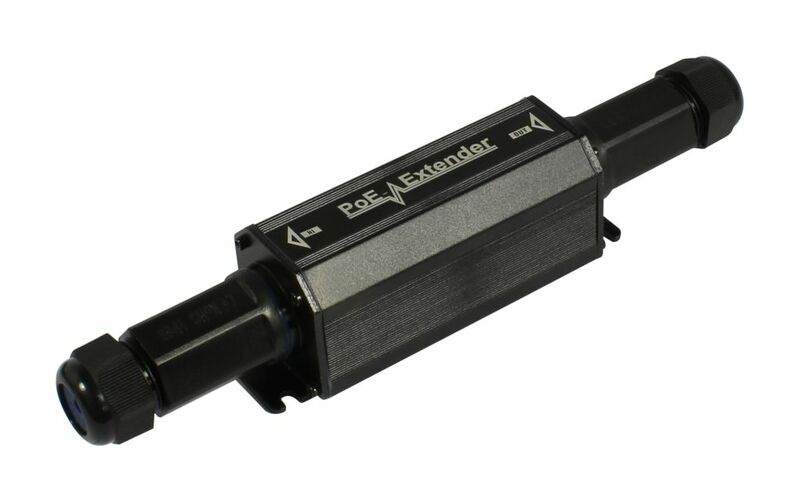 Power over Ethernet, easy extend up to 100m. ALLNET offers 2 solutions for PoE repeaters. In the entry area the ALL-PR2012P-E which can be supplied with 30W with PoE IEEE802.3at and can be cascaded with max. 4 repeaters. The second solution is the PoE repeater ALLNET ALL048600, which extends the PoE and network range by 100m. Depending on the PoE input power, up to 6 repeaters can be connected in succession. For example, we recommend the ALLNET ALL048900 LT PoE injector for the output power.